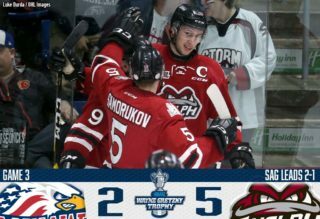 For the second straight game, the Guelph Storm needed a pair of late third period goals to edge the Sault Ste. Marie Greyhounds. But it was not your usual suspects who found the back of the net in a 5-3 home win. 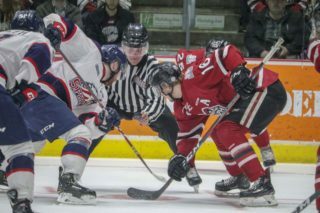 Without a half-dozen of their top players, Guelph showed their depth and high work rate to extend their win streak to seven games. Walker called out the great play of Adam Craievich and Chadd Bauman. Adam Craievich had a goal and an assist, including the game winner with just under five minutes to play. Guelph also got goals from Steven Trojanovic and Chadd Baumann who each scored their fifth goal of the season. Storm goalie Justin Nichols says hard-working wins like this are confidence builders. The victory certainly was not easy, however. 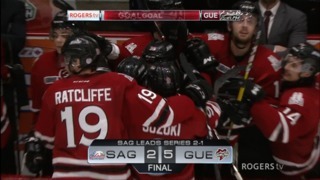 Each time Guelph scored, the Greyhounds seemed to have a response. Chadd Baumann tipped home the first goal of the game in the first period but Darnell Nurse equalized 30 seconds later. When Steven Trojanovic scored from the point midway through the second it only took the Greyhounds five minutes to level the score again. Then, in the third, the Hounds grabbed the lead with only five minutes to go. But Guelph turned on a relentless forecheck that forced two turnovers that led to goals by Scott Kosmachuk and Adam Craievich. Justin Nichols was solid in net, turning away 34 shots against the team that traded him a couple days before the season. “It’s definitely an extra-special win for me,” says Nichols, who recorded his 20th victory of the season. Guelph travels next to Saginaw on Sunday to start a two game road trip. 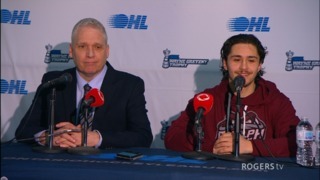 They play again Thursday in Niagara. 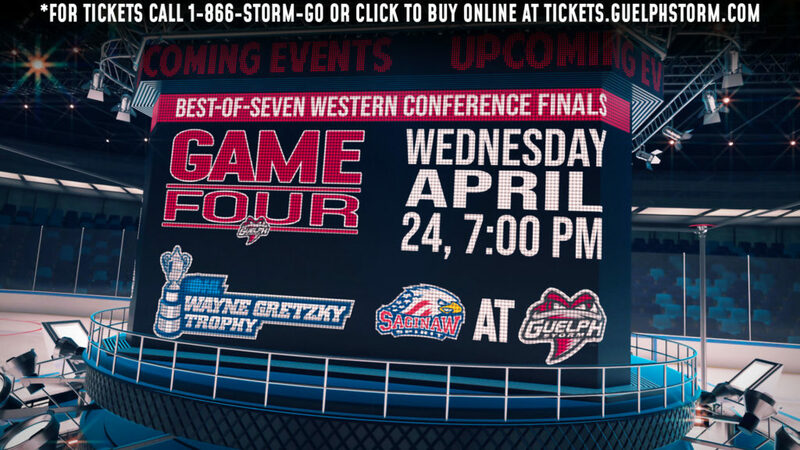 The Storm returns home next weekend for a pair of games against their biggest rivals. On Friday the London Knights pay a visit before the Kitchener Rangers travel down highway seven on Sunday. 1, Guelph, Bauman 4 (Garlent, Craievich), 5:19. 2, Sault Ste. Marie, Nurse 10 (Miller, Tolchinsky), 6:09. Penalties-Finn Gue (slashing), 0:35; Auger Gue (tripping), 18:35. 3, Guelph, Trojanovic 5 (Finn, Dickinson), 4:46 (PP). 4, Sault Ste. Marie, McCann 19 (Fritsch), 10:33. Penalties-Bunting Ssm (inter. on goaltender), 4:30; Fabbri Gue (check from behind), 5:44; Garlent Gue (tripping), 7:15; Garlent Gue (delay of game), 13:27; Gudbranson Ssm (check from behind), 17:06; Gaudet Ssm (inter. on goaltender), 17:19. 5, Sault Ste. Marie, Bunting 13 (Fritsch, Jenkins), 8:16 (PP). 6, Guelph, Kosmachuk 27 (Mitchell), 14:17. 7, Guelph, Craievich 5 (Suter), 15:19. 8, Guelph, Dickinson 17 (Harpur), 19:27 (EN). Penalties-Nurse Ssm (slashing), 1:57; Ebert Gue (tripping), 8:05. Shots on Goal-Sault Ste. Marie 13-17-7-37. Guelph 12-7-16-35. Power Play Opportunities-Sault Ste. Marie 1 / 6; Guelph 1 / 4. Goalies-Sault Ste. Marie, Murray 20-7-1-4 (34 shots-30 saves). Guelph, Nichols 20-3-1-0 (37 shots-34 saves). Referees-Jason Faist (5), Joe Park (27).